One thing that I felt something is missing to the Christmas Decoration I had last month was a Christmas streamer. I couldn't find a nice banner at the store that’s why we never bought one. 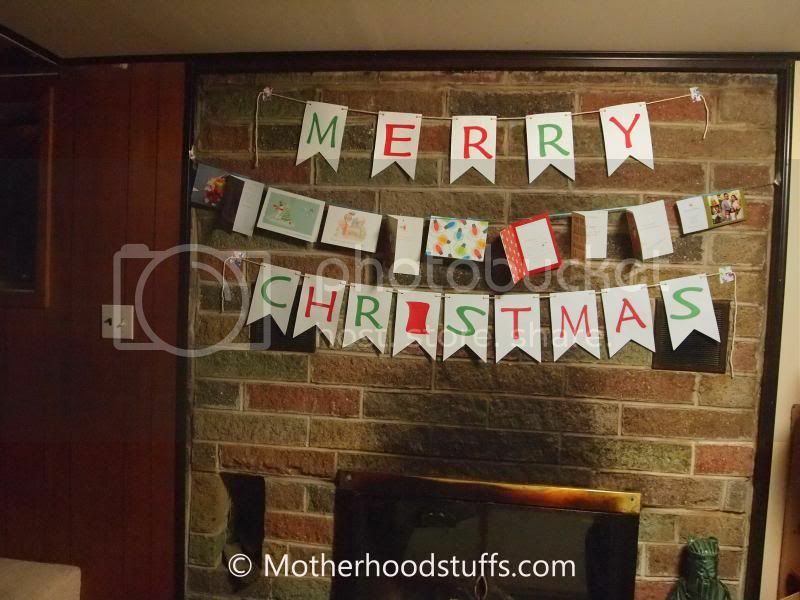 Anyways, I felt like we do need the streamer as I have seen the empty space on the fireplace is just the right place to hang our Christmas Banner. I was already hanging the Christmas Cards that family and friends sent there, yet it looks plain. With just those cards hanging, I assumed that the streamer should go with it. 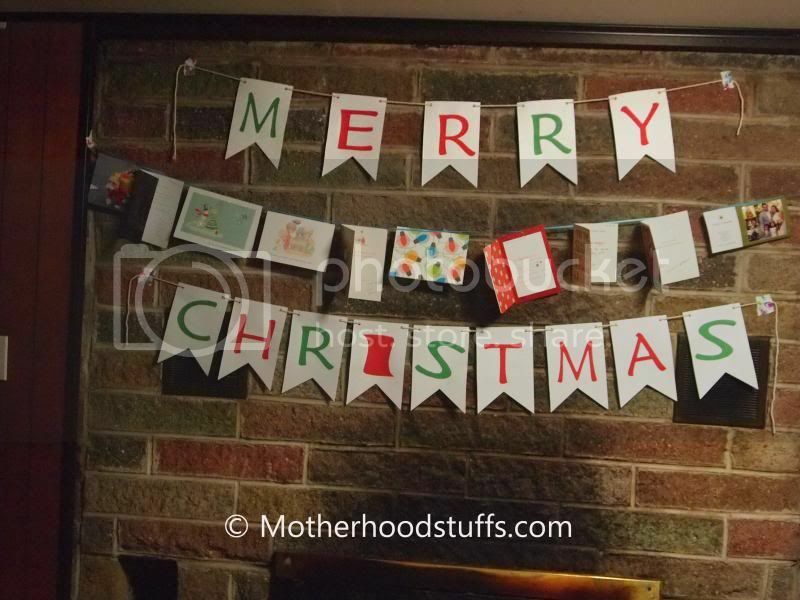 So, that same evening, I went online and checked on Pinterest to see any DIY Christmas Banner. Fortuitously, I was able enough to uncover the simplest method a banner to construct it with the supplies I have at home. The system of producing this streamer is very simple that I finished the 2 words in less than 30 minutes. You will only need 6 items: constructional papers, glue, a craft rope, scissors, puncher, and colored papers [so you don’t have to color the letters to save more time]. 1) Make sure you find a big font for the letters that would fit to the half size of the constructional paper. Print it and cut them. 2) Cut the constructional paper into two, with the use of a ruler you have to cut the bottom edge into somewhat like triangle shape. 3) Punch the upper size on both edges so the craft rope can pass through it. 4) But the letters printed and glued them in the center of the half-constructional paper until the whole letters are glued. 5) Slip through the craft rope to the holes in the constructional papers. You can always work with diverse drafts of your streamers as long as you distinguished that your craft rope will hold the letters and its arts. I think Do it Yourself banner is better because of the personal touch added into it. I miss Christmas banners, uso yan satin sa Pinas but here, never saw one. Thanks for the tips! it'll be a good Christmas art project this year.